I was reminded of this book when we had world book day. A girl at my school was dressed up as the main character, Joe, with her ‘Hats for Cats’ rosette on. 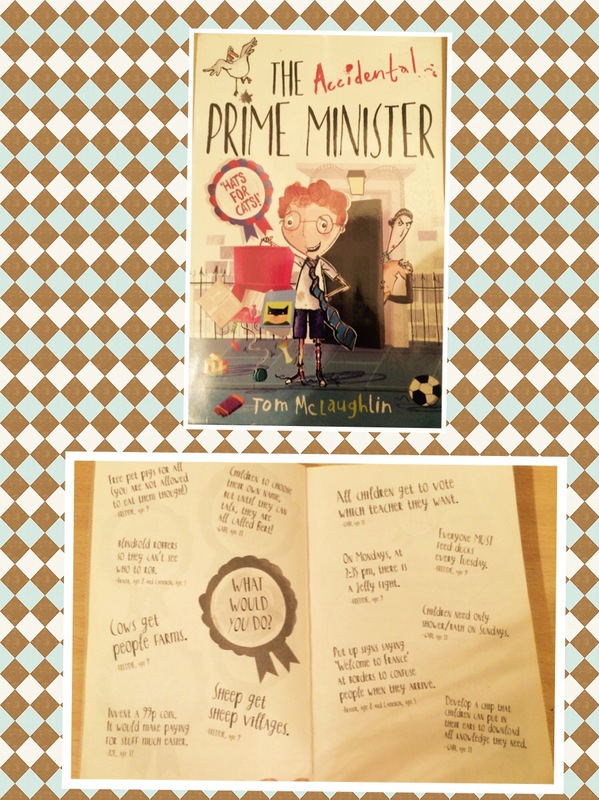 We got chatting about our costumes and books and she recommended that I give The Accidental Prime Minister a go. I remember looking at a review of this book last year around the time of the general election and put it down on my mental list of books to read. The list is now so long that unfortunately some get forgotten! I’m so glad that I was recommended this book as it was hilarious. I actually had LOL moments. The book is about a boy named Joe whose mum works at the local park. Her job becomes threatened when it is decided that the park should have loads of flats built on it, leaving no park at all. Joe obviously isn’t best pleased as he and his mum love the park and it would mean that they would struggle even more with money. Joe then takes the opportunity the next day to confront the Prime Minister, who is visiting the school, about the park and things in general that he thinks are stupid. He ends up getting a bit carried away and tells the Prime Minister to shut up and calls him a ‘big dafty’. Little did Joe know that he was being videoed and it was going viral. After becoming an Internet sensation, the public ask him to be Prime Minister. He has loads of ideas that he wants to make law, like days when the roles of teachers and pupils are reversed. The author, Tom McLaughlin, used to draw political cartoons for newspapers, which I guess gave him the inspiration for lots of silly things that maybe he would like the Prine Minister to talk about and make law. He also works for Disney and Cartoon Network. I will definitely look out for books written by him in the future. If you could make any law, what would it be? Some of the suggestions from other readers have included: put up signs saying ‘welcome to France’ at borders to confuse people when they arrive; all children get to vote which teacher they want; children choose their own name, but until they can talk, they are called Burt and invent a 99p coin to make it easier to pay for stuff. 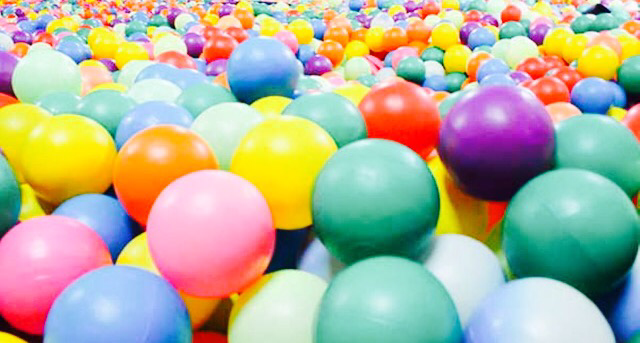 I think I would make it compulsory for all schools to have a ball pit room for various activities including: reading, swimming (for those afraid of water) and generally larking about it. I’ve been trying to convince my husband to make our spare room into a ball pit, but he won’t let me. Hmph. Previous Post A visit from Joe Craig! I wouldnt choose the name burt, ill go for Frank. Also if I could make a law it would be that scientists would invent a type of medicine that makes babies teeth grow the day they’re born. 1, its not human to just have gums and no teeth. 2, its mean having to make babies go through the Pain of teething. 3, it means they can eat propper food not just smooshy, gloopy, sloppy stuff. It would be alot better if they pop into macdonalds for a quater pounder…. If I could make a law it would be that no teachers are allowed to shout at their pupils. Children are not allowed to shout back so why should teachers shout in the first place? And lots of teachers always say to children “If you can’t say anything nice, then don’t say anything at all”. But is shouting at other people nice? No, so some teachers don’t even follow their own rules!